Administrative Law Judge (ALJ) Suzanne Brown, Office of Administrative Hearings (OAH), Special Education Division, conducted the hearing in this matter on December 4 and 5, 2007, in San Juan Capistrano, California. Father and Mother (Parents) were present and represented Student on the first day of hearing. On the second day of hearing, no one appeared on behalf of Student. Father left a voicemail message for District Legal Specialist Kim Gaither, stating that Parents would not be attending the hearing. Father did not offer any explanation for Parents’ decision not to attend, and did not request a continuance of the hearing. Educational advocate G. Robert Roice represented Capistrano Unified School District (District) at the hearing. Ms. Gaither attended most of the hearing on behalf of the District; Anne Delfosse, Executive Director of Special Education, attended a portion of the hearing in place of Ms. Gaither. Attorney Lysa M. Saltzman represented Orange County Department of Education (OCDE) at the hearing. John Wright, Principal of OCDE’s Newhart Special Classes, attended the hearing on behalf of OCDE. On July 16, 2007, OAH received Student’s request for due process hearing against the District and OCDE. On August 23, 2007, OAH granted a motion to continue the hearing in that matter, OAH Case No. N2007070429. On October 22, 2007, the District filed its request for due process hearing regarding Student, in OAH Case No. N2007100654. On October 25, 2007, OAH consolidated the two cases, and ordered that the applicable timelines for the hearing and decision in the consolidated case would run from the date the District’s complaint was filed in OAH Case No. N2007100654. 1. Did the District and OCDE deny Student a free appropriate public education (FAPE) by preventing Parents from participating in the individualized education program (IEP) process in April 2007 by preventing Student’s mother and sister from having a meaningful period to observe Student at his placement? 2. Did the District and OCDE deny Student a FAPE by preventing Parents from effectively participating in the June 18, 2007 IEP team meeting? 3. Does the District’s proposed placement of Student in a special day class (SDC) at Tesoro High School offer Student a FAPE in the least restrictive environment (LRE) for the 2007-2008 school year? 1 In a written notice issued on December 7, 2007, OAH notified Parents of the date and time of the closing arguments. At the scheduled time on December 14, 2007, OAH placed a telephone call to Parents at their home telephone number, but no one answered. The ALJ left a voice message stating that the oral closing arguments were commencing. The ALJ also telephoned Father on his cell phone, but Father indicated that he would not be participating in the closing arguments. Thus, only the District and OCDE delivered closing arguments. 2 Issues 1-2 are Student’s issues, and Issue 3 is the District’s issue. The ALJ has renumbered and slightly rephrased the issues for purposes of organization and clarity. In particular, the issues now reflect that Student’s issues named both OCDE and the District, which all parties confirmed at hearing. 3 Although OCDE operated the Newhart program, the class was located on the campus of the District’s Newhart Middle School. 4 In addition, if a public education agency observed the pupil in conducting its assessment, an equivalent opportunity must be accorded during an independent educational assessment of the pupil in the pupil’s current educational placement and setting. 5 Arguably, the right to watch a placement applies only when the placement is ordinarily in existence, such as when school is in session, and does not require school staff to reconstruct or artificially extend the school day to prolong the observation. 7 At 1:10 p.m. on September 25, 2007, District staff sent Parents an e-mail stating that the meeting would need to go forward as scheduled at 3:30 p.m.
8 Participation in swimming would also help address Parents’ concerns about Student’s weight. The recent Functional Behavioral/Analysis Assessment Report noted that Student’s Body Mass Index (BMI) was 29.84, which is in the overweight range. 1. Student is a 15-year-old boy who resides with his family within the boundaries of the District and OCDE. He is eligible for special education and related services under a primary disability category of autistic-like behaviors. He currently attends an SDC at the District’s Tesoro High School. 3. Special education teacher Karen Miller taught Student’s Newhart SDC. In January 2007, Ms. Miller informed Parents that Student had met several of his IEP goals and, therefore, proposed amending some goals from his April 2006 IEP to reflect his more advanced skills. Parents did not agree to the proposed IEP addenda, and did not share Ms. Miller’s opinion that Student’s behavior and skills had improved. Ms. Miller suggested that the IEP team convene to discuss the proposed amendments to the goals, but Parents responded that they were too busy to meet. Ms. Miller also suggested that she could videotape Student working on his goals, so that Parents could observe Student’s skills in a natural setting without disruption to Student’s routine, but Parents did not consent to the videotaping. Thereafter, Ms. Miller and Parents agreed to have Student’s sister (Sister) and Mother observe Student in the SDC, so that they could see his academic progress. 4. Like many pupils with autism, Student is most comfortable with a regular routine, and has difficulty with disruptions to his routine. For these reasons, Ms. Miller suggested that any observation be conducted in the morning, because that was when Student worked on most of his goals, according to his daily schedule. However, Mother and Sister were not able to attend an observation in the morning. At the family’s suggestion, Ms. Miller scheduled the observation for 12:30 p.m. on April 16, 2007. 5. Beginning at approximately 12:30 p.m. on April 16, 2007, Mother and Sister observed Student in the Newhart SDC. Although Student’s schedule called for him to participate in other classroom activities at that time, Ms. Miller instead worked with Student on academic tasks, in order to demonstrate Student’s skills for Mother and Sister. Initially, despite the changes to his routine and schedule, Student was reasonably cooperative and worked with Ms. Miller. At the end of the regular school day, the other pupils in the class finished their activities and left school. Contrary to Student’s usual routine, he did not leave the class and instead was asked to continue working on academic tasks with Ms. Miller. After his classmates left, Student grew distraught and hit his desk. Ms. Miller attempted to address this problem by redirecting Student to an activity on the computer, but Student remained agitated and hit the computer keyboard. When Student went to get a drink of water, he smashed a ceramic mug on the floor. At that point, at approximately 2:30 p.m., Newhart principal John Wright intervened and stated that the observation needed to end. Ms. Miller and Mr. Wright stated that the family could schedule another observation on a different day. 6. On June 7, 2007, Mr. Wright received an e-mail from Father, stating that Mother and Sister would be observing Student in the Newhart SDC the following day, June 8. Mr. Wright wrote back to Father and informed him that they would have to schedule the observation for a different day, because Ms. Miller was scheduled to be out of the classroom on June 8. Nevertheless, Mother and Sister arrived at the SDC at 8:00 a.m. on June 8 to observe Student. The SDC staff agreed to allow the observation. Mother and Sister observed Student from 8:00 a.m. until approximately 9:40 a.m., when Student left the SDC to attend an assembly. 7. Although not codified by statute or regulation, parents are generally entitled to view a proposed or current placement as part of their role in the IEP decisionmaking process, to allow them to participate knowledgeably in educational decisions regarding the pupil.4 A procedural violation of the Individuals with Disabilities in Education Act (IDEA) may constitute a denial of FAPE only if the violation impeded the child’s right to a FAPE, significantly impeded the parents’ opportunity to participate in the decisionmaking process regarding the provision of a FAPE to the child, or caused a deprivation of educational benefits. In the present case, testimony from Ms. Miller and Mr. Wright, as well as e-mail correspondence admitted into evidence, established that school staff encouraged the family to observe Student in the Newhart SDC. On April 16, 2007, Mother and Sister observed Student in his SDC for over an hour and a half, and could have observed for a longer time had they arranged to arrive earlier in the school day. The termination of the observation occurred due to Student’s tantrums and the end of the school day, not due to any unreasonable limitations imposed by school staff.5 Mr. Wright testified credibly that, because the school day had ended and the observation had already lasted over an hour and a half, there was no point in trying to get Student to go back to work when he was so agitated. Given the circumstances on the afternoon of April 16, 2007, Mr. Wright’s decision to terminate the observation was not unreasonable. Considering also that Mr. Wright and Ms. Miller encouraged the family to return for another observation, and Mother and Sister did observe on another day, neither the District nor OCDE violated Parents’ right to observe Student in his placement. Accordingly, because no procedural violation occurred on these grounds, this Decision need not examine whether a procedural violation constituted a denial of FAPE. 8. The IEP team convened on April 23, 2007, for Student’s annual IEP meeting. Mother and Sister attended the meeting. Mother and Sister disagreed with District and OCDE staff about Student’s goals and present levels of performance. OCDE staff made additions to the IEP document based on information from Mother and Sister. OCDE and District staff proposed a special education placement at a District high school, with designated instruction and services (DIS) including individual language and speech services, group language and speech services, adapted physical education, occupational therapy consultation, psychological consultation, transportation, and an aide on the bus. The IEP notes indicate that the team members discussed several placement options, including District high schools and non-public schools, and the District suggested three District high school sites for Parents to visit. Parents did not sign their consent to the proposed IEP. Mother indicated that she and Father would respond to the school staff’s recommendations by May 4, 2007. 9. In a letter dated May 17, 2007, Mr. Wright wrote to Parents that they had not yet responded to the placement, services, and goals proposed at the April 23 IEP meeting. The letter explained that the school staff was unable to implement that IEP until Parents signed their consent to it, and therefore suggested that the IEP team convene again. Attached to the letter was a Notice of IEP Meeting, which proposed that the team meet on June 5 at 2:00 p.m., June 7 at 1:00 p.m., or June 11 at 1:00 p.m. In his testimony, Mr. Wright established that he proposed scheduling the meeting for an early afternoon start time to ensure that the team had sufficient time to address all of the meeting topics and team members’ concerns. However, Parents indicated that they were unable to attend the IEP meeting at any of the times proposed in Mr. Wright’s May 17 letter. At Parents’ request, OCDE scheduled the meeting for June 18, 2007, at 3:30 p.m.
10. The IEP team convened as scheduled on June 18, 2007. Father, Mother, and Sister all attended the meeting. Mr. Wright distributed a meeting agenda to the attendees, and initially sought to review the goals and objectives proposed at the April 23, 2007 IEP meeting. Father indicated that he did not want to follow the agenda Mr. Wright distributed, and instead sought to discuss several pages he had prepared regarding Student’s present levels of performance. School staff stated that the team would address each of Father’s concerns as they discussed each of the individual goals, but Father disagreed and wanted the team to discuss all of his information first. 11. OCDE and District staff offered Student placement at the SDC at the District’s Tesoro High School (Tesoro), with a plan to transition Student from Newhart to Tesoro over the extended school year (ESY) in summer 2007. Parents indicated that they did not agree with the proposed placement, and did not agree with school staff regarding Student’s goals or present levels of performance. 12. As a result of Parents’ disagreement with school staff regarding Student’s performance levels, the District and OCDE proposed conducting a full assessment of Student. On June 26, 2007, OCDE sent a proposed Individual Assessment Plan to Student’s parents, which Father signed and returned. Mr. Wright also wrote a ten-page letter dated July 3, 2007, to Parents to provide “prior written notice” in response to the concerns Parents raised orally and in writing at the June 18, 2007 IEP meeting. 13. Parents of a child with a disability must be afforded an opportunity to participate in meetings with respect to the identification, assessment, educational placement and provision of a FAPE to the child. In the present case, witness testimony, the notes on the June 18, 2007 IEP document, and Parents’ own typed notes of the IEP meeting establish that school staff responded to Parents’ questions and concerns during the meeting and agreed to some of Parents’ requests, such as modifications of the proposed goals. In response to information presented by Parents, the local educational agencies (LEAs) proposed conducting new assessments. The evidence indicates that school staff considered Parents’ views, and that Parents were full participants at the IEP meeting. Student’s argument to the contrary appears to be based solely upon school staff’s attempts to have the team discuss each goal individually, instead of discussing only the topics that Father wanted. The LEAs were not obligated to let Father determine the order of discussion topics, and staff members’ attempts to follow the meeting agenda did not deny Parents the opportunity to participate in the meeting. In light of all of the above, neither OCDE nor the District denied Parents the opportunity to effectively participate in the June 18, 2007 IEP meeting. Because no procedural violation occurred on these grounds, this Decision need not examine whether a procedural violation constituted a denial of FAPE. 14. As determined above in Factual Finding 12, at the June 18, 2007 IEP meeting, District and OCDE staff offered Student placement at the Tesoro SDC, with a transition plan for Student’s transition from Newhart to Tesoro over summer 2007 ESY. The LEAs also offered a behavior support plan, an individual transition plan (ITP), and DIS of individual speech-language services for 30 minutes a week, group speech-language services for 30 minutes a week, group adapted physical education (APE), occupational therapy consultation, psychological services consultation, and transportation to and from school with an assistant on the bus. School staff proposed goals in the areas of communication, community, fine motor skills, gross motor skills, academics, recreation/leisure, self-help/daily living, social/emotional, and vocational. Parents did not consent to the June 18, 2007 IEP. 15. Student completed the 2006-2007 school year in the Newhart SDC. Because Parents did not consent to any portion of the June 2007 IEP, the transition plan was not implemented. On July 16, 2007, OAH received Parents’ request for due process and motion for stay put so that Student would remain at Newhart. On July 31, 2007, OAH issued an Order denying the motion and holding that stay put “does not require that a district maintain a student in junior high school when he should otherwise have moved to high school.” Based upon the OAH order, Student began attending the Tesoro SDC in September 2007, and has continued to attend that program as his stay put placement. 17. Thereafter, Father spoke with District Program Specialist Leisa Winston and stated that he would not attend the IEP meeting, and that he did not understand why the District was holding the meeting. Ms. Winston explained the purpose of the IEP meeting and the need to review the assessments. Following this telephone conversation, Ms. Winston sent Parents a letter urging them to attend the IEP meeting. 18. On September 23, 2007, Student’s father sent an email requesting that the meeting be postponed until October 5, 2007. On September 24, 2007, Ms. Winston sent a letter to Parents by both e-mail and regular mail. In the letter, she wrote that the staff was not available on October 5, 2007, but proposed other dates in September and October as possible meeting times. She explained that the 60-day statutory deadline for the District to hold an IEP to review the assessments would expire on September 26, 2007. She enclosed a form for Parents to sign agreeing to an extension of the timeline for holding the IEP meeting. 19. Parents did not sign or return the extension form, so the District convened the IEP meeting on September 25, 2007, as scheduled.7 Parents did not attend the meeting. The IEP team members reviewed the results of the assessments. Based upon that review, the team members proposed placing Student in the Tesoro SDC for 5 hours and 54 minutes per school day, and also offered DIS of speech-language services for 30 minutes a week in a small group, speech-language consultation for 30 minutes per month, occupational therapy consultation for 30 minutes per month, group APE twice a week for 30 minutes per session, behavior intervention consultation services once a month for 15 minutes, and transportation to and from school with an assistant on the bus. The IEP also proposed a behavior support plan, an individual transition plan (ITP), and extended school year (ESY) instruction. The team members proposed IEP goals in the following areas: “Wh” questions, community signs, concrete words, concepts of “more than/less than,” fine motor/word processing, physical fitness, movement skills, social interaction, leisure activities, following a work schedule, and setting the table. 20. The District was required to offer an IEP that was designed to meet Student’s unique needs and was reasonably calculated to provide Student with some educational benefit. Although Student previously exhibited significant maladaptive behaviors, currently his behaviors at school, such as compulsively picking up trash, are relatively mild and are adequately addressed by a behavior support plan. Student has significantly below average intellectual functioning with substantial deficits in speech, language, communication, socialization, adaptive behavior, academics, and vocational skills. According to his recent psychoeducational evaluation, Student performs academically at a level of kindergarten or below, and has a full-scale intelligence quotient (IQ) score of 36 on the Leiter International Performance Scale-Revised. In light of his needs, Student required an intensive, structured special education setting with visual supports and highly trained staff, such as the Tesoro SDC. 21. School psychologist Mark Akstinas testified credibly that, from his observation of the Tesoro SDC, its use of visual supports and its highly trained staff, high staff-to-pupil ratio, and intensive structure are all appropriate to address Student’s unique needs. All of the pupils are kept engaged in tasks, and the SDC staff are enthusiastic. Mr. Akstinas established that, based upon his psychoeducational assessment of Student, the Tesoro SDC offers an appropriate setting to address Student’s needs. Similarly, school psychologist Bill Thompson, who conducted a behavioral assessment of Student, testified persuasively that the Tesoro SDC’s emphasis on structure, routine, organization, visual supports, sensory input, communication, behavior, and a functional academic curriculum all rendered the program appropriate for Student. Also, Ms. Williams established that the Tesoro SDC has the structure and curriculum that Student needs, and that Student’s behaviors are the type she would expect to see addressed in that SDC. Ms. Williams testified credibly that Student “fits in perfectly” within the Tesoro SDC, and described how Student is able to follow the class schedule and works well in the classroom. Based upon all of the above, the Tesoro SDC placement and program offered at the September 25, 2007 IEP was designed to address Student’s unique needs and reasonably calculated to offer him educational benefit. 22. The District was also required to offer a placement in the LRE. A special education student must be educated with nondisabled peers to the maximum extent appropriate, and may be removed from the regular education environment only when the nature or severity of the student’s disabilities is such that education in regular classes with the use of supplementary aids and services cannot be achieved satisfactorily. As discussed in the preceding paragraph, Student required an intensive, structured special education setting with visual supports and highly trained staff. The placement that the District offered on September 25, 2007, is a full-time special education placement, but includes interaction with nondisabled peers during lunch, recess, passing periods, and a reverse mainstreaming program in which typically developing peers visit the SDC. The September 25, 2007 IEP states that Student’s functional life skills curriculum cannot be provided in the general education classroom, and there is no argument or evidence that Student’s needs could be addressed in a general education classroom. The District therefore established that its September 25, 2007 offer constitutes an offer in the LRE for the 2007-2008 school year. 23. Testimony from Pamela Williams established that each of the 11 proposed goals was appropriate to address Student’s needs, and could be implemented in the Tesoro SDC. For example, currently Student does not interact with peers and has difficulty with social interactions and with remembering individuals’ names. Ms. Williams established that the proposed goal in social interaction is designed to address this area of need for Student. Ms. Williams’s testimony regarding Student’s areas of need and the appropriateness of the proposed goals was consistent with other credible testimony, including the testimony of Karen Miller regarding the goals in the June 18, 2007 IEP, the testimony and behavioral assessment report from Mr. Thompson, and the testimony and psychoeducational evaluation report from Mr. Akstinas. 24. The District also contends that the IEPs’ offer of community-based instruction was appropriate for Student. In March 2007, Parents notified Ms. Miller that they were revoking their consent for Student to participate in Newhart’s community-based instruction, wherein school staff took all of the pupils in the class on supervised field trips to destinations such as parks, stores, restaurants, and the public library. Parents indicated that they believed that Student was gaining weight due to foods he ate during the community trips. Thereafter, Student remained in the classroom while his classmates went on the community outings twice a week. 25. The September 25, 2007 IEP notes reflect Mr. Akstinas’s recommendation that “community based instruction is critical for [Student]. He needs to be able to access community environment and be more independent.” Community-based instruction is part of the regular curriculum in the Tesoro SDC. Currently, all of the other pupils in the SDC attend the community outings, leaving Student in the SDC to work one-on-one with the teacher or an aide. Testimony from Ms. Miller and Ms. Williams established that many of the community outings do not involve food, and the SDC staff could limit Student’s access to unhealthy foods during those that do involve food. Moreover, testimony from Mr. Akstinas, Ms. Williams, and Ms. Miller established that Student needed to receive community-based instruction in order to develop independence and generalize his skills to daily living situations, such as how to read signs, count change, and make a purchase. Based upon this evidence, the District proved that the community-based instruction within the Tesoro SDC curriculum is designed to address Student’s unique needs and is appropriate for him. 26. The District also contends that, as part of its offer of placement in the Tesoro SDC, participation in swimming activities with the rest of the class is appropriate for Student. Currently, Student is the only pupil in the Tesoro SDC who does not participate when the class goes to swimming activities, because Parents have refused to consent to his participation in swimming. Testimony from Ms. Williams established that swimming would be an appropriate activity for Student, would address his needs in areas including physical fitness and social interaction.8 This evidence established that the swimming portion of the Tesoro SDC curriculum is designed to address Student’s unique needs and is appropriate for him. Did the District and OCDE deny Student a FAPE by preventing Parents from participating in the IEP process in April 2007 by preventing Student’s mother and sister from having a meaningful period to observe Student at his placement? 6. Based upon Factual Findings 4-7 and Legal Conclusions 1-4, neither the District nor OCDE denied Student a FAPE by preventing Student’s mother and sister from observing Student at his placement for a meaningful period in April 2007. Mother and Sister had the opportunity to observe Student for a meaningful time period on April 16, 2007, and could have observed for a longer time had they arrived earlier in the school day. OCDE staff terminated the April 16, 2007 observation only due to Student’s tantrums and the end of the school day, not due to any unreasonable limitations imposed by school staff. Considering also that OCDE staff encouraged Parents to return for other observations, there is no evidence to support Parents’ contention that they were denied the right to observe Student in his placement in the Newhart SDC. Because no procedural violation occurred, there is no need to determine whether a procedural violation denied Student a FAPE. Did the District and OCDE deny Student a FAPE by preventing Parents from effectively participating in the June 18, 2007 IEP team meeting? 8. Based on Factual Findings 8-13 and Legal Conclusions 1-4 and 7, neither the District nor OCDE denied Student a FAPE by preventing Parents from effectively participating in the June 18, 2007 IEP meeting. Parents were full and equal participants during the meeting. By modifying portions of the IEP and proposing new assessments based upon Parents’ views, school staff demonstrated that they gave significant consideration to Parents’ input. Staff members’ attempts to follow the meeting agenda did not deny Parents the opportunity to participate in the meeting. Because no procedural violation occurred, there is no need to determine whether a procedural violation denied Student a FAPE. 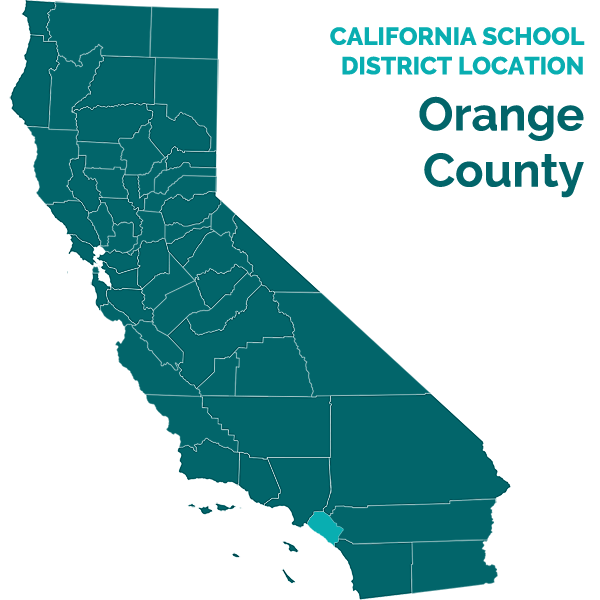 Does the District’s proposed placement of Student in an SDC at Tesoro High School offer Student a FAPE in the LRE for the 2007-2008 school year? 12. Based upon Factual Findings 14-26 and Legal Conclusions 1-3 and 9-11, the District’s proposed placement and program in the Tesoro SDC was appropriate. In the June 18, 2007 and September 25, 2007 IEPs, the District offered a classroom placement and program that were designed to address Student’s unique needs and were reasonably calculated to allow Student some educational benefit in the LRE. Within the Tesoro SDC’s curriculum, the community-based instruction and swimming components of the Tesoro SDC were appropriate for Student. Accordingly, the District offered Student a FAPE for the 2007-2008 school year. 2. In the June 18, 2007 and September 25, 2007 IEPs, the District offered Student a FAPE for the 2007-2008 school year. Pursuant to California Education Code section 56507, subdivision (d), the hearing Decision must indicate the extent to which each party has prevailed on each issue heard and decided. In accordance with that section the following finding is made: The District prevailed on all issues, and OCDE prevailed on the two issues raised against it.